Magical iPads: Why did we believe Mike Daisey? We now know that Mike Daisey’s theatre show was based on solid research about Apple Inc.’s labor practices in China, but key scenes were manipulated or fabricated for dramatic effect. I’d like to explore what this scandal tells us about culture, magic, and technology. Every tall tale requires an audience. And one that succeeds on a massive scale requires a storyteller with a subtle understanding of the audience’s unconscious needs and assumptions. So what were the cultural blindspots that Daisey played on? In particular, why was the scene of the Chinese man with the mangled hand considered to be one of the most moving parts of the whole show? “I reach into my satchel, and I take out my iPad. 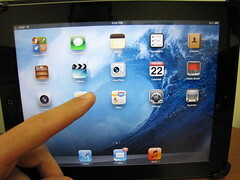 And when he sees it, his eyes widen, one of the ultimate ironies of globalism—at this point there are no iPads in China. Even though every last one of them was made at factories in China, they’ve all been packaged up in perfectly minimalist Apple packaging and then shipped across the seas, so that we can all enjoy them. Ira Glass, the host of “This American Life,” referred to this scene as “the most dramatic point in Daisey’s monologue; apparently onstage it’s one of the most emotional moments in the show.” Yet Kathy, Daisey’s translator, later said that this scene “is not true. You know, it’s just like a movie scenery.” She’s right—it has that Hollywood feel. So to figure out why this episode was so moving to audiences, aside from the obvious way that it elicits empathy for the injured man, the best place to begin is with movie tropes. Daisey was echoing a familiar movie scene that depicts native awe in the face of Western technology. We’ve seen this image, for example, in The Gods Must be Crazy, where an African tribe is over-awed when they encounter a Coke bottle for the first time. Other such encounters can be found throughout Western cinema, from the gramophone that amazes the Eskimos in Nanook of the North to John Smith’s compass in Pocohantas. These scenes validate a Western sense of identity based on superior technology, and they play off the vicarious thrill of seeing others surprised by novel situations. But it’s more complicated. Daisey had to rework this long-standing “Technology Scene” to reflect the complexities of the computer age and China-U.S. relations. He does this by focusing on a powerful symbol: hands. 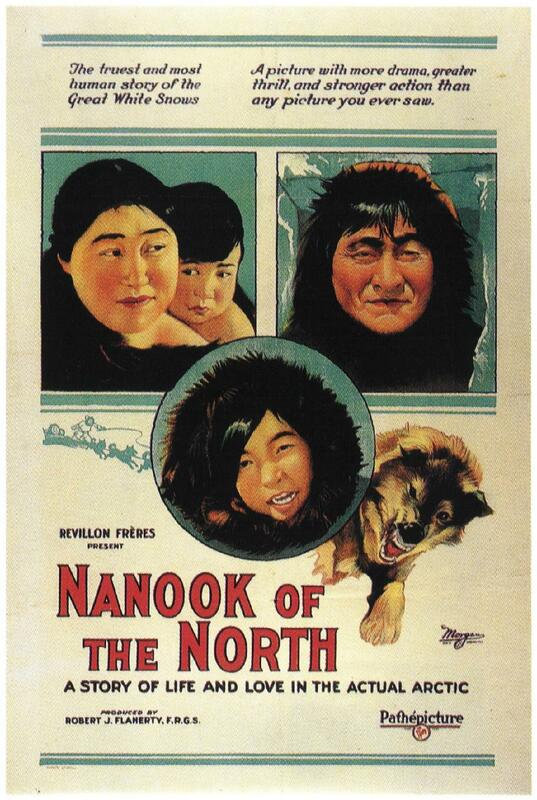 Promotional poster for the 1922 documentary Nanook of the North. Wikimedia Commons. Calling it “magic” also works because the whole scene has a hint of the revolutionary adaptations of technology going on today in medical science. Giving this Chinese man the use of his hand again through an iPad brings to mind “miraculous” bio-tech inventions, such as prosthetic limbs that move in response to brain activity, or computers that detect eye movement and allow ALS patients to type. If this is starting to sound too anthropomorphic, that’s as it should be. Anthropomorphism of machines is a fine and necessary tradition, from Hal in Space Odyssey to R2D2 in Star Wars and the disabled soldier in Avatar. These movies are just us humans trying to make sense of the world, using narrative to think through our complex, boundary-crossing relations with computers. 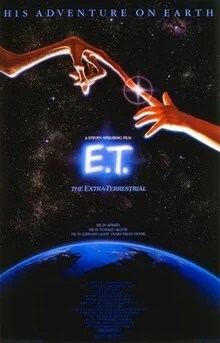 So maybe the best movie analog here is Edward Scissorhands or E.T.—movies about figures with magical appendages. Edward has scissors for hands and E.T. has a finger that glows, and both came to heal broken, consumerist societies. Daisey seems to have understood what every magician knows: the magic trick will only work if you get the audience to follow your hands. Peter Wogan is Professor of Anthropology at Willamette University, co-author of Hollywood Blockbusters: The Anthropology of Popular Movies (2009), and author of blockbusteranthropology.blogspot.com, where he tries to make sense of sharks (“Jaws”), baseball (“Field of Dreams”), and model families (“The Godfather”), among other things. For their helpful suggestions, I want to thank Sam Pack, David Sutton, and Russell Voth. Lee Drummond, American Dreamtime: A Cultural Analysis of Popular Movies, and Their Implications for a Science of Humanity, 1996. Peter Wogan, “What’s So Funny about First Contact?” Visual Anthropology Review 22:14-33, 2006. In this article, I analyze a documentary about first contact in the 1930s between Australian goldminers and aboriginal peoples in Papua New Guinea. I analyze Westerners’ fascination with technology as a ritual of supremacy, but also as a source of “wonder,” and I place the discussion within the Obeyesekere-Sahlins debate over rationality.